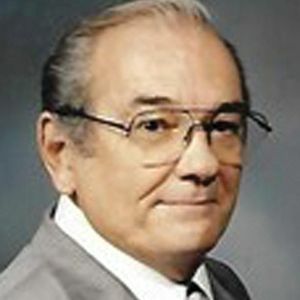 AUSTIN J. WILEY of New Lexington, OH died April 3, 2019 at the age of 90. A licensed funeral director and embalmer for 67 years, he began working for the Spiker Funeral Home in Canton at the age of thirteen. He owned and operated the Wiley Funeral Home in Glouster in the 1950-60's, and in 1963, he purchased the Chute-Belford Funeral Home in New Lexington. Wiley also owned and operated the Hughes Funeral Home in Athens and the Wiley Funeral Home in Coring. A 1950 graduate of the Cleveland College of Mortuary Science, he was a member of the Ohio Funeral Director Association and the National Funeral Director Association. comfort to the family, I met AUSTIN many years ago when I worked at the hospital in Zanesville and he kept a picture of his granddaughter on the poster board above his bed , and bragged of her being a love of his life. he certainly accomplished many things in his business and my late husband enjoyed his whit when they played cards. Life Stories provides friends and families a forum to post their favorite stories and memories of AUSTIN J WILEY ensuring the precious experiences are never forgotten. Share joyful times, post a photo that captures the moments you cherish, and allow others to reply, relive and remember.